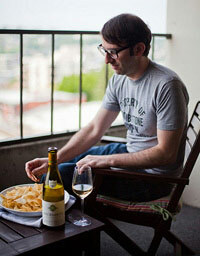 Hey, wine is for more than just drinking. (Whoa.) 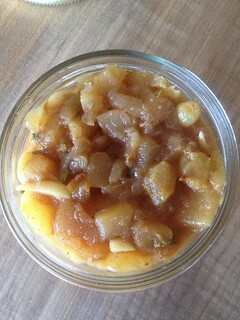 For example, have you ever had a White Port and Pear Conserve? (Recipe at the bottom of this post.) Me neither! Fortunately, I am friends with, and live within walking distance from, Brook Hurst Stephens. You may know her from her charming and enthusiastic blog, Learn To Preserve; she’s also a Certified Master Food Preserver. And she was gracious enough to open her doors for taping an episode of my podcast, Wine Without Worry, dedicated to the topic of preserving with wine. I knew Brook was a pro; see how she had all the ingredients laid out? 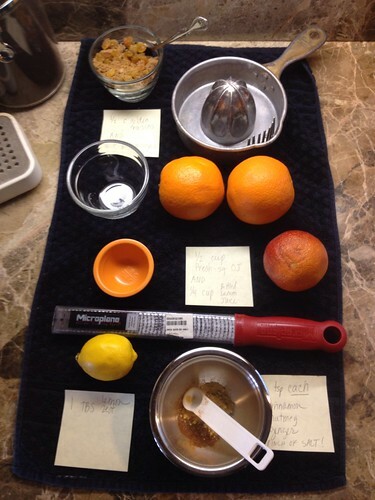 And I was touched that she added a blood orange, my favorite fruit, into the citrus mix. With Brook ably in charge as the recipe guru, I had to do something to impress her. How about an easy wine-based cocktail? I love that Brook chose white Port for our canning exercise, as it is the main component in one of the most underrated refreshing drinks in the world. And you don’t have to be a mixologist to make it. Plus, no muddling. Just fill a glass with ice, add a couple shots of white Port (the one we used had a touch of sweetness), top with club soda, and add a wedge of lemon or lime. This is how you make a drab Seattle April afternoon feel like July in the tropics. “The Sounds of Preserving” from Kabja Concepts on Vimeo. Just as sights and smells can provoke and promote memories, so can sounds. The sound of uncorking a wine reminded me how I met Brook probably eight years ago while working at a wine shop; she was a sales representative for a local distributor and the shop was one of her accounts. We discuss how she got into the wine business, and venture further back in time to see how growing up in Wenatchee (“Apple Capital of the World“) nurtured her love for canning and preserving. Brook even owned a bar–which apparently had a fantastic neon sign–in Wenatchee for a spell. Add the first 9 ingredients to a large pot, stir to dissolve the sugar, and bring to a boil over medium-high heat. Add the pears, cover, and lower the heat and boil gently for 15 minutes. Remove the cover and cook for another 15 minutes to thicken. Stir in the almonds, white Port, and thyme. 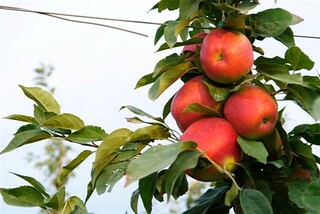 Apples in Wenatchee photo courtesy SweeTango. Looked like a great post, but having a bit of trouble reading through the wood:) Thought I’d let you know. Sweet sipping….. The wood should just be on the edges while the background for the text is white. Sorry you are having trouble reading the post; my apologies! I also look forward to learning what to preserve with rosé, even though it will PAIN me to put it in a jar instead of in my mouth. Ha, I never thought what a sacrifice it is to give up rosé like that. If it’s for something based on one of Brook’s recipes, I’m 100% sure it will be worth it. Thanks for checking out the podcast, too!